NO.2 You created a site /project/en and want to add language sites /de and /fr. What is the best practice to create the additional language sites? A. Use the Language Copy tool. folder to /fr or /de, then reinstall the package. whenever you create a new /en page. D. Use the WCM console to copy and paste from /en. NO.3 How do you create a design dialog for a CQ component? A. Create a dialog in the component folder and set the dialog's xtype property to designDialog. B. Create the same component path structure under the design page and create the dialog there. C. Create a dialog in the component folder and name it design_dialog. D. Create a node under the component's dialog node and set the xtype property to designDialog. component "B", which is very similar to component "A", but with a different script2.jsp script. A. Only write a new script2.jsp. B. 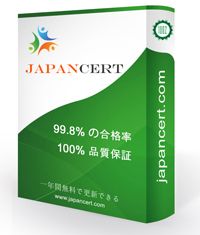 Write script2.jsp and copy main.jsp, which includes script2.jsp, from component "A" to "B".